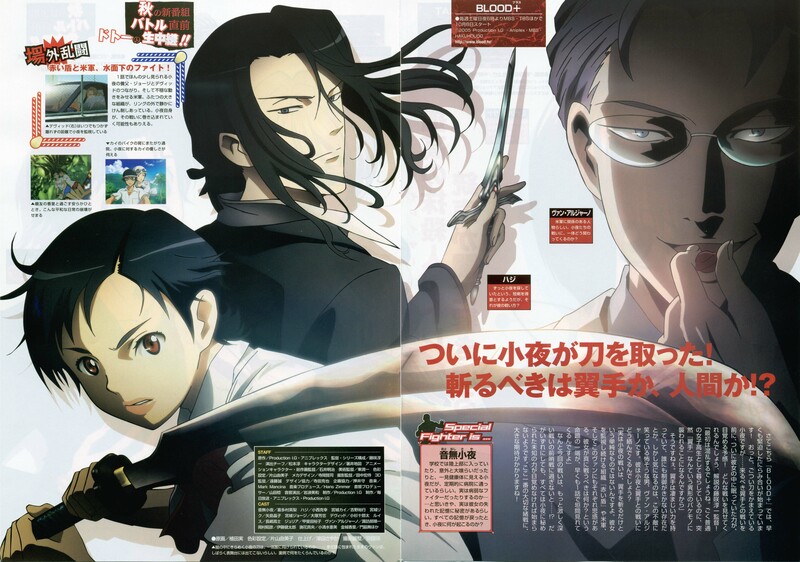 This is a scanning of monthly Animedia October 2005 issue. Quite, it is not possible to see. I want to listen to music CD of this animated cartoon. Hans Zimmer takes charge of music. Yah~ Another cool Blood+ scan! Thanx for the scan.... definitly worth the download. Great scan like always I must say ^__^. Blood+ is one of my fav animes so thank you very much for your hard work with scanning! wow this one looks so good! i love Saya when she helds the sword! Great scan, all the expressions are pretty good. Thanks for sharing. Greattt! this is really a good one thanks for everything.